We thank and remember the brave souls who risked their lives to discover and settle the United States of America. HOLIDAY SHOPPING - NEW ITEMS! These custom made maps make a wonderful gift! Framed, unframed, and desktop versions available. Choose your color or the flag version which is red, white, and blue on one map. 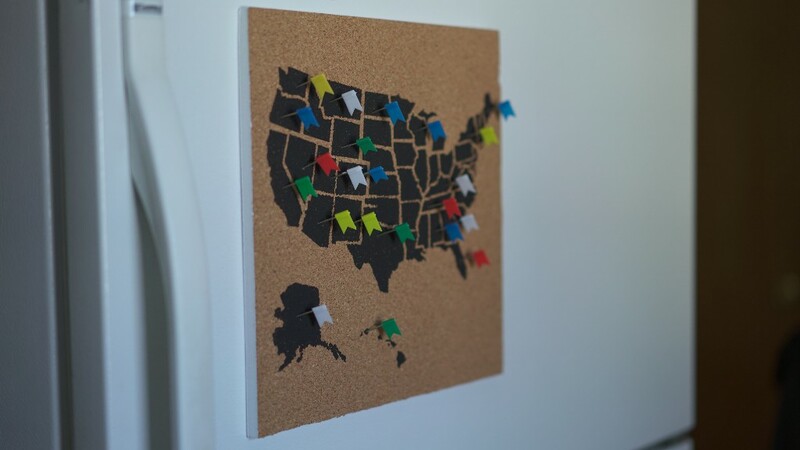 All maps come with 50 flag pins to mark states. Free shipping and maps come wrapped and ready to gift. Membership pins are now available! Proudly wear on shirts, jackets, or hats to display your accomplishment and share travels with others! 1" X 1.5". Cost is only $10 including tax and shipping. Limited quantities available. 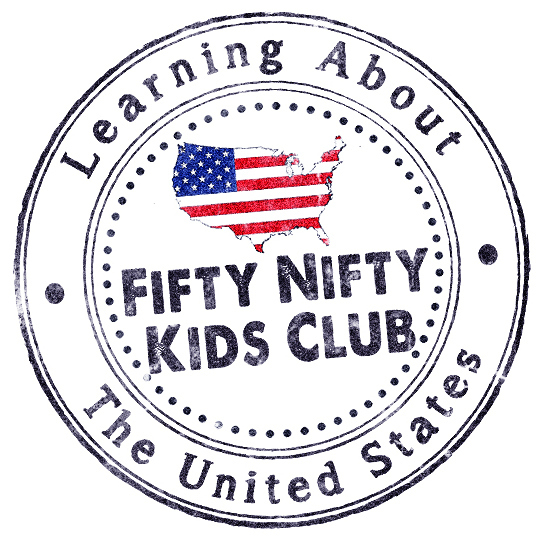 Inspire travel within kids and help them learn about the United States by signing them up for the Fifty Nifty Kids Club! 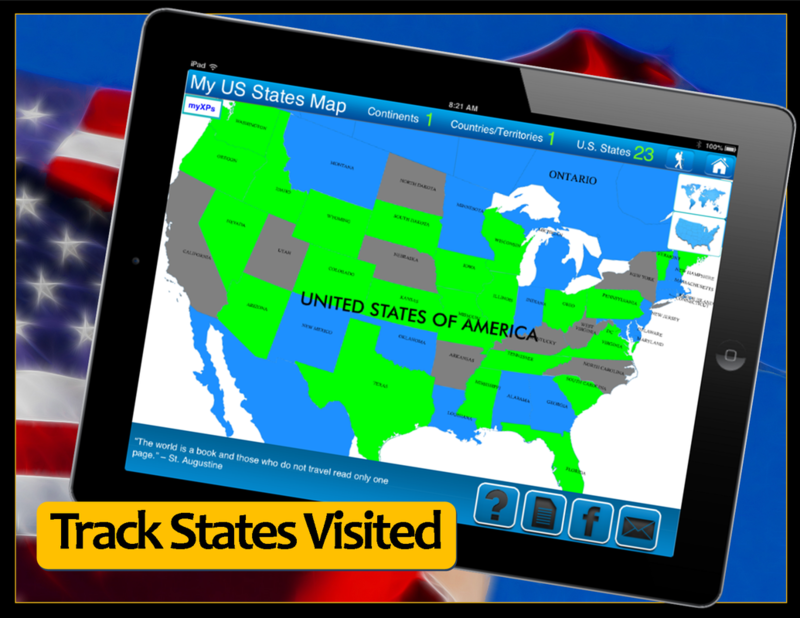 Kids will learn geography and state facts while having fun completing their interactive map! Makes a great gift that lasts the entire year as kids receive Fifty Nifty Kids Club packages each month! Best for grades K-6. First, they will receive their map kit which contains a large wall map of the United States, 60 piece puzzle and activity book. 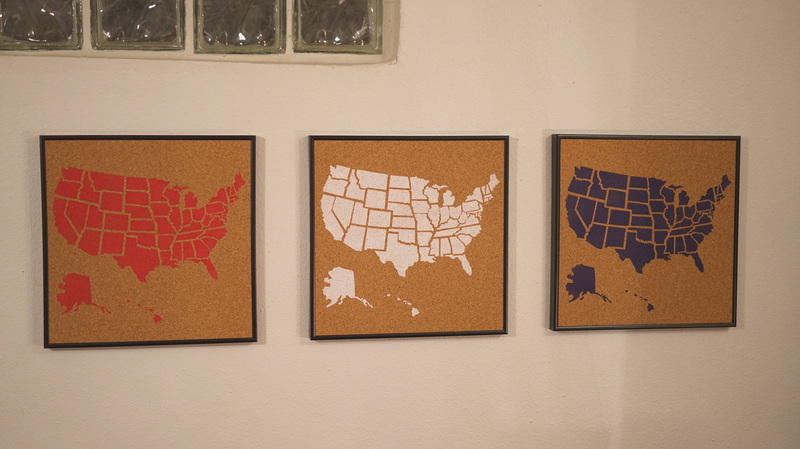 Then, 4-5 state map pieces and fact cards will arrive in the mail each month for 12 months. Upon completion, kids will receive a certificate having earned the title of Fifty Nifty Kid! Join today! Membership is only $5 per month! Order your holiday gifts by December 10th. Limited inventory on some items. 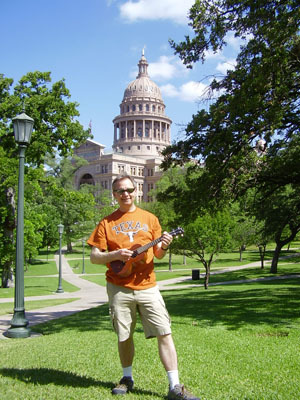 Dr. Chris Stout of Illinois visited his final state, West Virginia, this October. 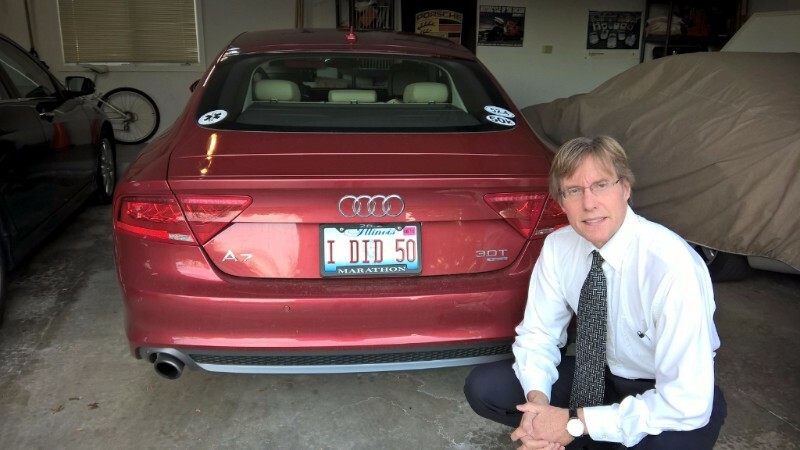 His license plate reads "I did 50"! Some of his favorite memories include summiting Pikes Peak with his daughter, Annika, and climbing Mt. Rainier and Mt. Whitney via the Mountaineer's Route. 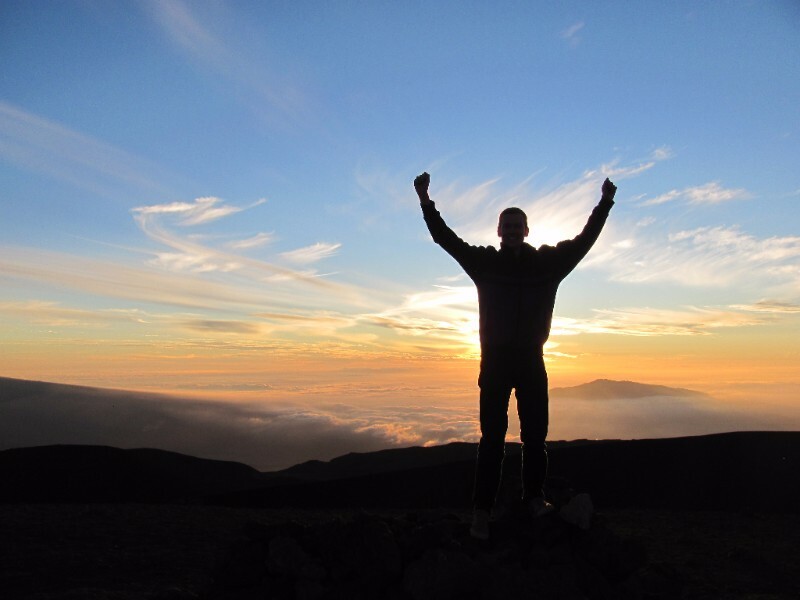 He also hiked the Appalachian Trail with his wife, Karen. 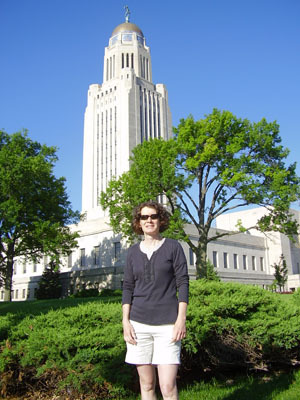 Dr. Stout is a Troika member having visited 6 continents, 50 countries, and now all 50 states! Welcome to the club! 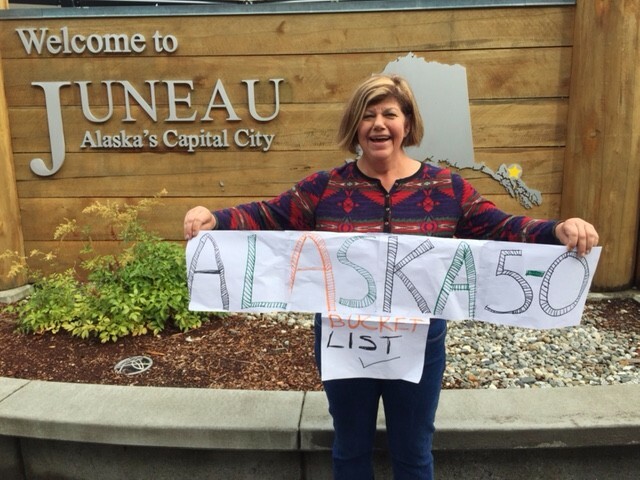 Rhonda Cohen from Pennsylvania finished up in Alaska in September which she (and many others) say is the "best for last"! Her last four states were scattered across the USA; West Virginia, Arkansas, North Dakota and Alaska! She said, "The biggest surprise was Arkansas. It's gorgeous and there's lots to do including Hot Springs and Bentonville for the Crystal Bridges Museum." 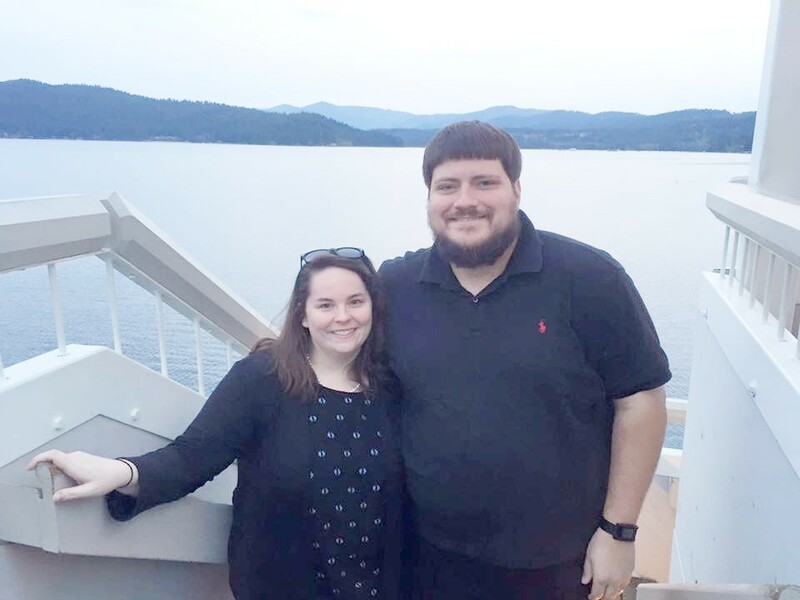 Congratulations to Jason and Jennifer James for completing their 50 state journey and attending MLB games in all 30 professional baseball stadiums across the country! They accomplished this all before the age of 30! Read more. Congratulations to Philip Dartnell of AUSTRALIA! He completed his amazing journey of visiting all 50 states and 165 cities in 25 years! Favorite memories: seeing Yosemite National Park, CA in the winter, arriving in Times Square, New York City for the first time, driving the 'Road to Hana' in HI with his wife and most recently staying in the Dog Bark Park Inn in Cottonwood, ID. 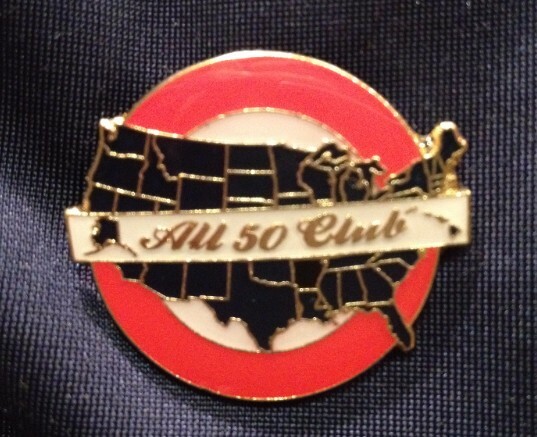 Suzy and Tom Brett from Smithfield, VA visited all 50 in 5 years. They have great memories from the Albuquerque balloon festival, Mt Rushmore and Crazy Horse Monuments, and an airplane ride in Kauai. The picture is from a train ride in Alaska. 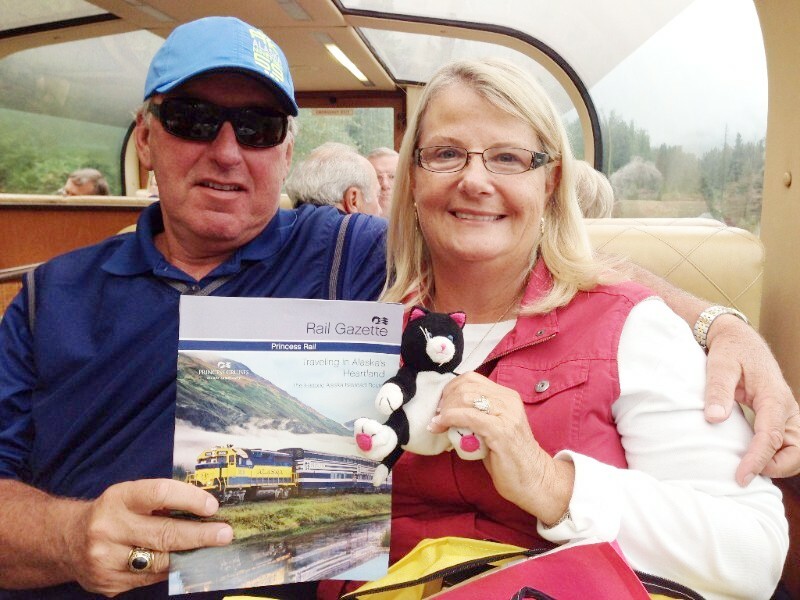 They take one of their grand-kids' stuffed animals with them on their trips and take pictures with it. Great idea! Bet the kids love it! We congratulate these other recent new members with age goals. We strive to include as many members as we can in each newsletter. If you weren't recognized this time, you might be in a future newsletter! Send us a picture if you haven't already! We value each and every member and their accomplishment! 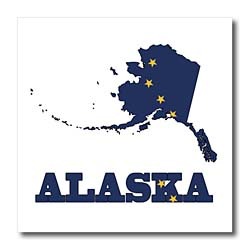 November isn't necessarily the most ideal time to visit Alaska. In Anchorage, the average high in November is 28 degrees F and the sun rises at 8:45 a.m. and sets at 4:45 p.m. That isn't very different from other places in the northern United States but it is very different from summer in Alaska which has an average high of 65 and sunrise at 4:30 a.m. and sunset at 11:30 p.m. With so much to do in Alaska I'll take the 19 hour day versus an 8 hour one! This is the time to plan and dream of Alaska. Because the tourist season is so short, cruises, flights, & tours need to be booked much farther in advance than other destinations. Cuba was a surprise favorite place to visit of some of our new members. A surprise perhaps because it has been off the "tourism" grid as it is still illegal to visit Cuba purely for tourism. 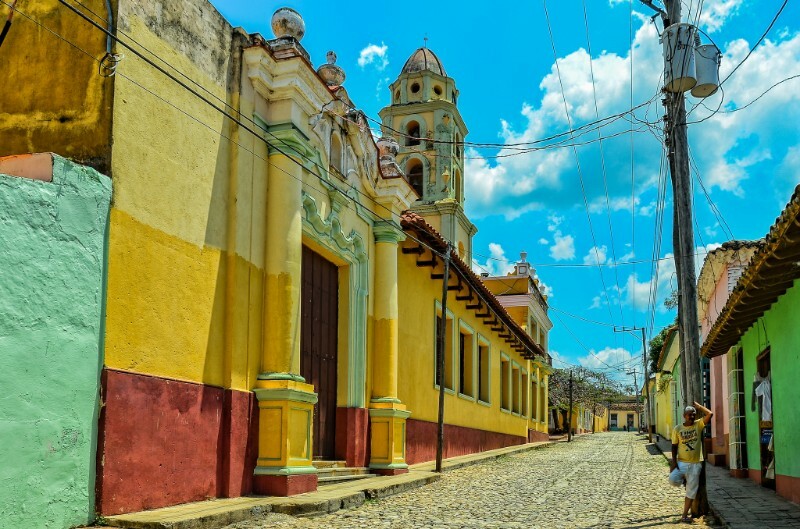 Loosened travel regulations, however, make it possible to visit Cuba for almost everyone determined to get there. Lonely Planet describes Cuba as a "prince in a poor man's coat". Others have said going there is like being in a time warp. Learn more in this New York Times article about traveling to Cuba. 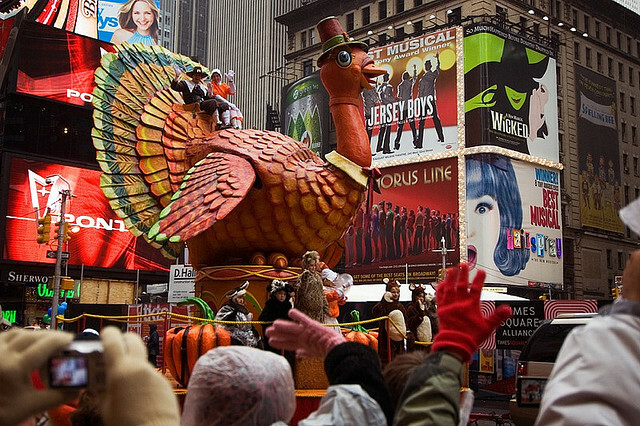 We are also on Twitter..
May all Kansasians be enjoying cranberries this Thanksgiving! 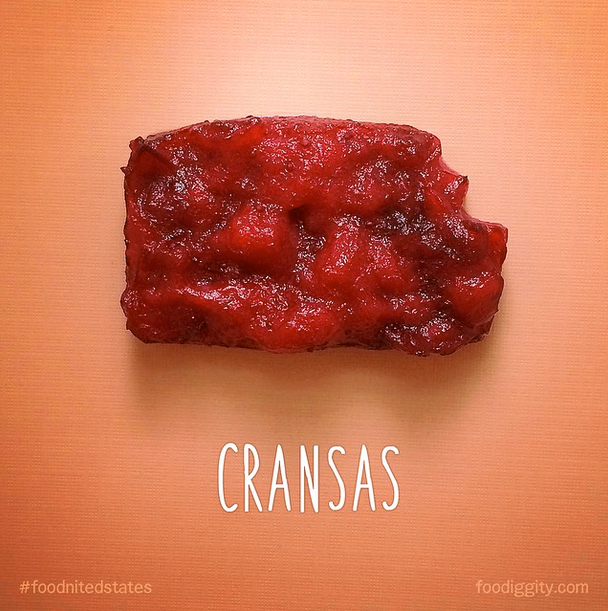 Chris Durso of Foodiggity.com created a food work of art for each state. Every single one makes us smile! 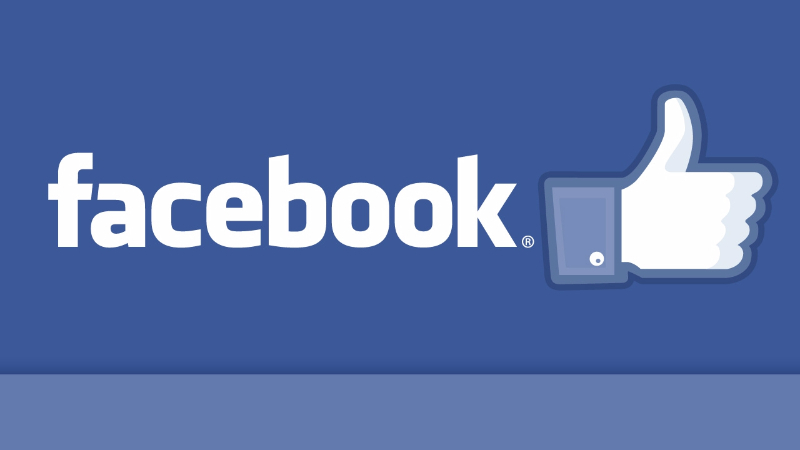 Check out all of them on the Foodnited States of America Facebook page. Our other favorite funnies can be found at the Lighter Side of Travel. Gasoline prices can greatly impact your road trip expenses. 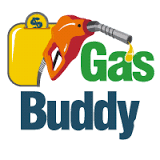 Download the Gas Buddy app to locate the lowest cost gas station nearby. Select "Find Gas Near me" and the price at nearby stations will display on a map or a list. I saved 20 cents a gallon on my last trip by going to the next interstate exit thanks to Gas Buddy! We created an iPad app to be able to mark where you have been and where you want to go on a world map. 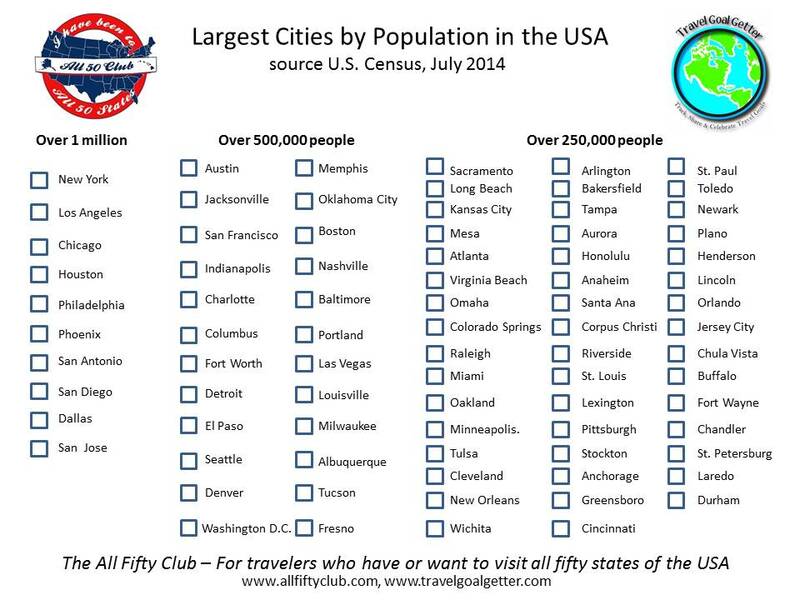 Includes a USA map and World Map that counts states and countries visited. Multiple maps for each member of the family! Available in the App Store. 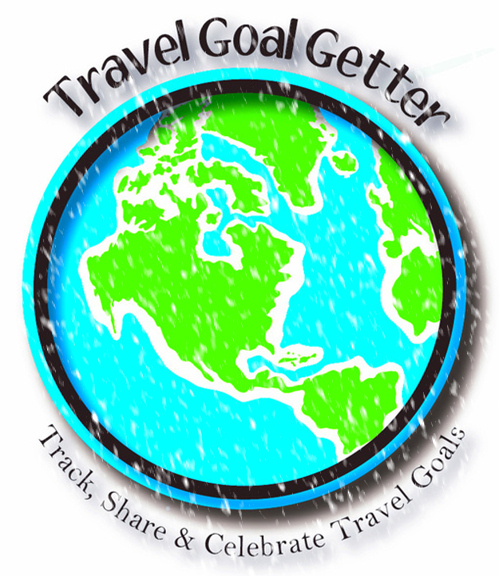 Copyright Â© 2015 Travel Goal Getter LLC, All rights reserved.